PRO-XC™ REAR SUSPENSION: The completely redesigned geometry of the PRO-XC progressive-rate rear suspension is optimized for the best performance and Rider-Balanced Control. Through innovative Polaris engineering and construction, the suspension is both lighter and stronger, featuring: Lightweight, forged aluminum rear crank, completely redesigned crank and pivot, front torque arm was moved rearward to control pitch, increase travel, and improve the rail profile. AXYS® PERFORMANCE SEAT: The AXYS Performance seat utilizes a high-performance seat foam, and the seat design is narrower in front to provide greater maneuverability: The seat is lighter without compromising comfort. Improved ergonomics and stability. Seat top features a gripper material that helps keep the rider in place. 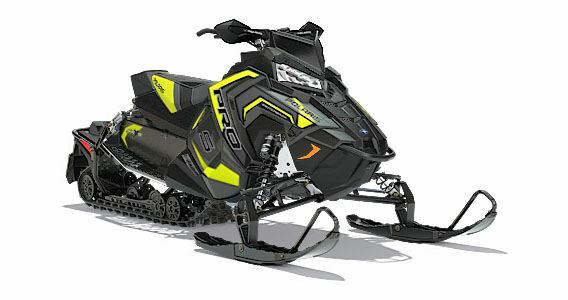 INTERACTIVE DIGITAL DISPLAY: Another industry first for Polaris - the most advanced instrumentation in snowmobiling. This 4.3 in. 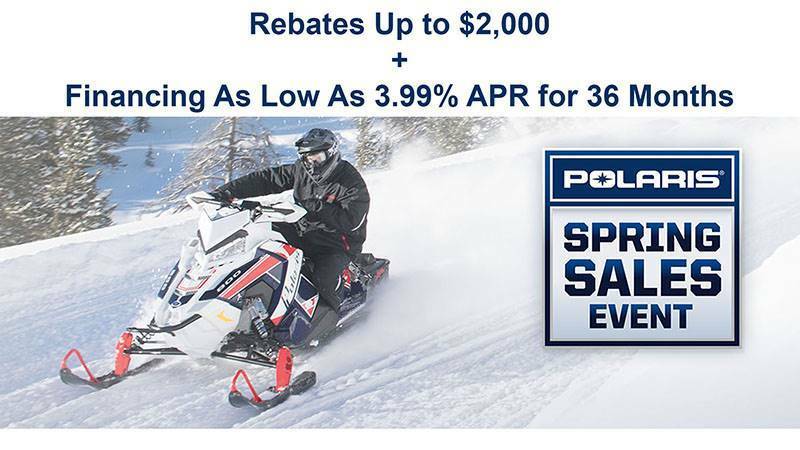 high resolution, full color, LCD digital display provides a rider with information including: Sled performance - Speedometer, tachometer, dual tripmeters, average speed, max speed, engine/trip hours & odometer. Sled operating conditions - Fuel level, coolant temperature, diagnostics & maintenance warnings. Riding conditions - Air temperature, time of day in 12 or 24-hour clock format. Bluetooth™ functionality - Enables the gauge to communicate with the rider’s cell phone and provide notification of incoming calls or texts. Displays phone battery & signal strength. GPS/Mapping Capability - A compass is standard, & full-featured GPS can be installed to provide directions & information about services such as fuel, restaurants, lodging & Polaris dealerships. Customize the GPS to operate with North Up or Course Up navigation depending on your preference. NEW Ride Planning Feature enables you to plan a ride on RiderX, save it as a GPX file, and transfer it to the display through the USB interface. This gauge comes as an option on select SnowCheck models and is also available as an accessory option. PRO-S SET-UP (TRACKS, SHOCKS): Delivers the ultimate cornering and handling, the flattest cornering in the industry, and it eliminates stutter bumps: 137 x 1.25 in. RIPSAW II Track. Walker Evans® Needle Shocks.